According to another website, nursing informatics “integrates the science of nursing, computer technology and information science to enhance the quality of the nursing practice, through improved communication, documentation and efficiency”. In short it is a way of using the advanced technological options that we have in the modern world to better assist patients in need of health care. The point of nursing informatics is to ensure that nurses are able to provide a more advanced level of care. In this line of work your role will be to assist with the development and utilization of computer software and systems in healthcare settings. Here you will be responsible for creating and developing new health care resources for consumers. What this entails in developing software that will assist patients on their road to recovery. Here you will be responsible for designing websites and multimedia for students of medicine and nursing in order to ensure that they receive the best level of instruction possible. Here your responsibility will be to help to create national registries for medical conditions and infectious diseases. This is a highly technical area of nursing that involves strong computer skills. If you pursue a nursing informatics career in this line of informatics you will work primarily in institutions providing nurses and other health care professionals with the training they need to do their jobs. Here you are likely to be employed in the public domain. In total it will probably take you around 16 years to qualify as a nurse in this arena. The requirements are very strict and, like with everything else in nursing, can vary significantly form state to state. The state requirements for your particular state can be found on your state’s board of nursing, a great resource for everything related to your nursing career. Many of these are similar to the traits you need for nursing, with a few additions that are very specific to the area of nursing informatics itself. These degrees will take quite a long time to complete, and in order to complete them you will need to have, at the very least, a love for technology and computers. If you lack this you will definitely struggle to complete the qualification and move forward with a career in nursing informatics. Enter into an RN training program. This is a program that culminates in a degree in nursing and that allows you to sit the NCLEX-RN examination. Apply for licensure form your state board of nursing. Once your board has approved your eligibility to be licensed, take the NCLEX-RN examination. When you receive the results of your examination, present them to your state board of nursing in order to complete the licensure process. The higher your degree the more chances you will have of being allowed to enter and informatics program to specialize in this area. There are advantages and disadvantages to both, but you have to start from a position of an RN qualification before you can go on to be a nurse involved in informatics. Georgetown University = Master of Science in Nursing, Family Nurse Practitioner: Online Masters program. Kaplan University = M.S. in Nursing – Nurse Informatics: Online Masters program. Walden University = Master of Science in Nursing (MSN) BSN Track – Informatics: Online Masters program. University of Missouri – Columbia = Nurse Educator Master’s: Campus Masters Program. Grand Canyon University = MS in Nursing: Health Care Informatics: Online Masters program. Tennessee State University = Nursing: Campus Doctorate Program. Wheeling Jesuit University = RN to BSN Program: Online Masters program. University of Phoenix = Master of Science in Nursing – Informatics: Online Masters program. University of Utah = Nursing: Campus Certificate and Masters Programs. Regis College = Nursing School: Campus Doctorate Program. Earning your associate’s degree is a good starting point when becoming a nursing informatics specialist, but ultimately you will need to hold a master’s degree if you are to be properly certified and licensed as a in this particular area of nursing specialization. Although it is possible to be an RN with just an associate’s degree you, if at some point during your RN career decide that you want to specialize in nursing informatics, will have to go back to school and complete your qualification so that you are an RN that holds a master’s degree in nursing. This will take anything between 2 and 4 years, depending on the level of education that you have before you enroll in the master’s degree program. Bridging courses are available to make things a little easier for you. As mentioned previously there is no licensure to receive as a nursing informatics specialist. There is, however, a certification process that you must go through in order to work as a specialist in this area of nursing. This certification program will take you a long time to complete, so this is a qualification that requires dedication and a strong commitment to getting your degree in nursing and in informatics. At the very least you will need to be a licensed RN. This is a requirement that you must adhere to before you can even enter a course that aims to help you specialize as an informatics specialist. There are, however, a number of RN degree courses that will allow you to begin your focus on informatics right from the outset, and these are the better degrees to get. The ability to work at your own pace. The ability to work form home. The flexibility of your schedule that will allow you to continue your job as an RN while in training. The fact that this method of studying tends to be4 cheaper than studying through a traditional program. The fact that it is often faster to study in this way. New types of computer systems are being implemented in health care centers all the time, which will require informaticists to learn new technologies. Professional advancement can provide additional challenges. 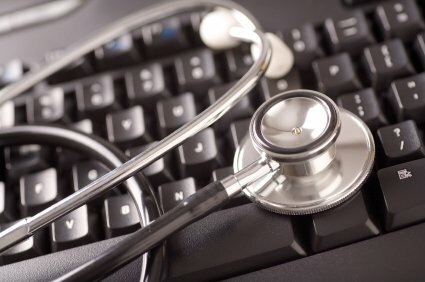 The job outlook is good on two counts: the health care industry is always expanding and always needs employees with advanced skills, and the technological industry is always improving and advancing, thereby requiring nursing professionals who can keep up with the advancements and ensure that the technological devices in question are used efficiently and correctly at all times. If you have the patience to achieve the qualification, there will be endless opportunities for you. As a nursing informatics specialist you can earn around $49,378 – $93,594 a year. If you add the possible yearly bonus you may earn of $0.00 – $1,221, your total overall earnings could be $50,610 – $93,829. This is very high for the health care industry. If you work in general healthcare you will earn something like $51,868 – $90,818 per year and if you work in a hospital you will earn $53,108 – $93,181. In short, the salary is very good, but you need to remember that there is a lot of hard work that goes into earning this salary and working your way up to an educational level where you are eligible to be a nurse with a specialty in nursing informatics. This is not for everyone, so consider your options carefully. This is a highly complex area of nursing that involves a high level of skill in the technological arena. Consequently it is not a line of work that suits everyone. If you do not already have a love for technology as well as a basic understanding of how that technology works, you will struggle to achieve this qualification. In fact you need to be very careful when embarking on this journey as it will be difficult as well as expensive to change your mind once you have begun. However if you have a love for nursing as well as a love for technology and computer science you will have very little trouble at all in this regard.